Travel to the enchanting city of Scottsdale, Arizona where luxury, style and remarkable views await; book your stay at The Canyon Suites at The Phoenician across WhataHotel! and receive Exclusive Complimentary Perks that are combinable with a 3rd Night Free for an extraordinary stay. Guests will be able to savor the scent of the clean air while falling hard for the incredible accommodations and top-notch amenities found at this legendary resort. The artistry and allure of Scottsdale awaits every lucky traveler. 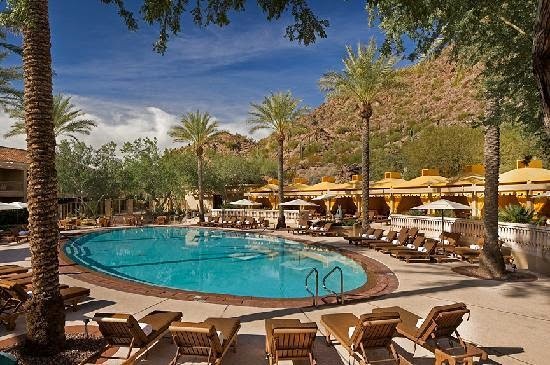 Situated at the base of the Camelback Mountains, this award-winning resort offers up 60 exclusive boutique style suites and impressive Five-star experiences. A regal lobby welcomes guests while sophisticated brilliance surrounds each patron. The floor to ceiling windows and marble floors alongside the Chinese maple furniture and plush muted fabrics ensure that each visitor enjoys an amazing stay. Soothing massages and sumptuous treatments await guests at the signature spa, while the top rated upscale golf course confirms that golf enthusiasts savor a spectacular game. Other exciting activities include tennis, a kids club, dog friendly programs, a serene infinity pool that is adjacent to the spa and an interactive spray park and pool area for both kids and adults. The dining options at this remarkable resort are as phenomenal as the amenities found here. Enjoy afternoon tea near the lobby, contemporary Italian and regional classics found at Il Terrazzo and even a steakhouse and burger bistro. 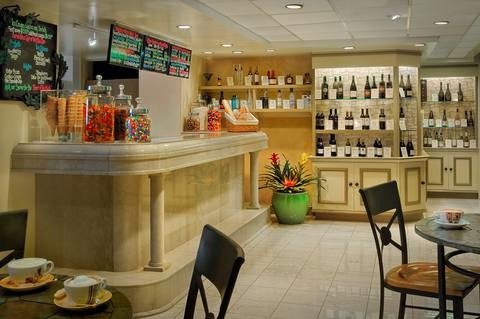 Grab a quick drink at the lounge or enjoy ice cream at the on-site parlor. Delectable dishes will not be hard to find at this fabulous vacation destination. 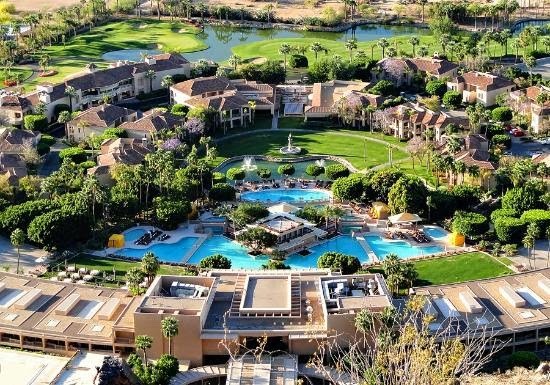 Discover the finer things life has to offer at the always fabulous The Canyon Suites at The Phoenician. 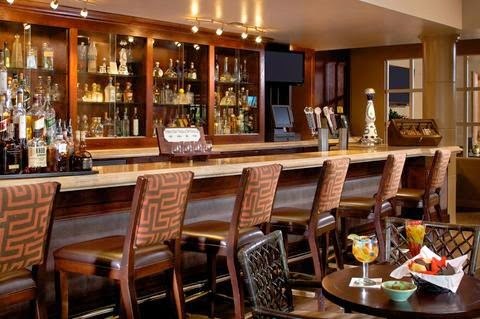 When booking your travel to Scottsdale across WhataHotel!, guests can savor Exclusive Complimentary Perks and a 3rd Night Free for an unbeatable deal. The sensational perks include a full a la carte breakfast for two each day, a $100 food and beverage credit, a welcome seasonal fruit amenity and options for an early check-in and late check-out. When planning your travel with the assistance of WhataHotel!, enjoy a 3rd Night Free when booking a two night stay. Scottsdale is a trendy spot with loads of charm and natural beauty. 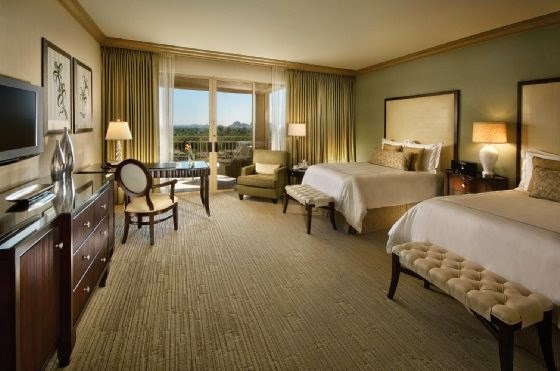 Planning a stay at The Canyon Suites at The Phoenician will not only create a memorable experience, but also guarantee that each guest will revel in exceptional experiences.